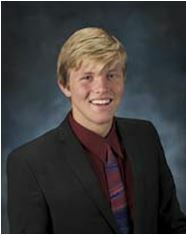 Mason Lyle graduated from Corona Del Mar High School, in Newport Beach, California in June of this year. He graduated with a GPA of 4.56. He is an AP Scholar with Distinction having taken AP classes in US Government and Politics, World History, Latin, English Language and Composition, United States History, Biology, Statistics, English Literature, Economics, Calculus, Mechanical Physics and Art History. He has also taken an Introductory Philosophy Course at Irvine Valley College receiving an A grade. Outside of school Mason Lyle has taken international studies courses at Monterey Institute and the ISCOR, International Studies and Conflict Resolution Course at SDSU from John Hopkins University’s Center for Talented Youth, as well as Lewis and Clark College’s Fir Acres Workshop in Writing and Thinking, George Washington University’s Election Politics and Campaign-Building course, and he has graduated from Orange County Organizer’s Internship Program. Mason has also attended the Massachusetts Institute of Technology’s ESP Splash Program for three years. Mason is the author of the novel “Withering Harmony”, which is currently available for purchase on Amazon.com. He enjoys spending his free time in the waters of Corona del Mar’s beaches and kayaking through Newport Harbor.